Former war crimes prosecutor Carla Del Ponte has told Euronews she is “very satisfied” with the life sentence handed on Wednesday to former Bosnian Serb commander Radko Mladic, convicted of genocide. 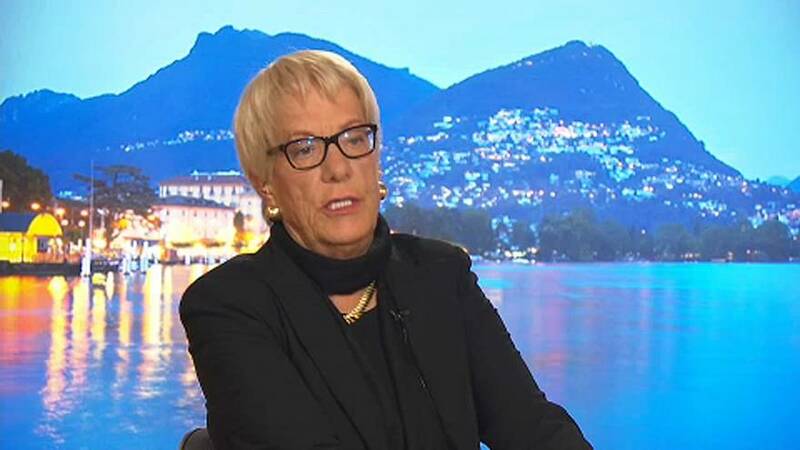 Del Ponte was prosecutor of the International Criminal Tribunal for the Former Yugoslavia from 1999 to 2007. “I’m very satisfied, very satisfied on behalf of the victims, because since the death of (former Serbia President) Slobodan Milosevic, Mladic was the highest ranking official responsible for these war crimes. I’m also satisfied he got a life sentence,” Del Ponte told Euronews journalist Stefan Grobe in an interview. The UN court found Mladic was part of a “criminal” campaign aimed at driving Muslims, Croats and other non-Serbs off their lands to carve out an Orthodox “Greater Serbia” from the ashes of the multiethnic federal republic of Yugoslavia. “When the defendants spoke, you could feel their ideology, their racial discrimination,” Del Ponte said. The court found Mladic guilty of 10 of 11 charges, including the slaughter of 8,000 Muslim men and boys at Srebrenica and the 43-month siege of the Bosnian capital Sarajevo, in which more than 10,000 civilians were killed by shelling, mortar and sniper fire.